Touchscreens have allowed a whole new era of innovation in mobile gaming and so far it's been pretty great. Sometimes, though, you just need buttons. There are a variety of companies out there trying to create the right solution and this isn't even the first review I've done on a third-party controller. With a unique grip to hold your smartphone, though, this one actually seemed like it stood a fighting chance of not disappearing into the nearest drawer. 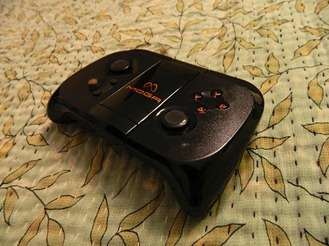 Of course, hardware is rarely the real problem for Android controllers, is it? But let's not get ahead of ourselves. Decent size. 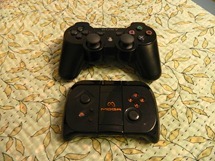 Not unusably tiny like most third-party controllers. Could be a bit bigger, but most people won't have a problem. Can hold most phones. Short of a Note, just about any large-screened phone will be held snugly in the flip-up grip. Good build quality. Given the price, it's nice to know this thing isn't cheaply built. Faux leather carrying case is a nice touch. 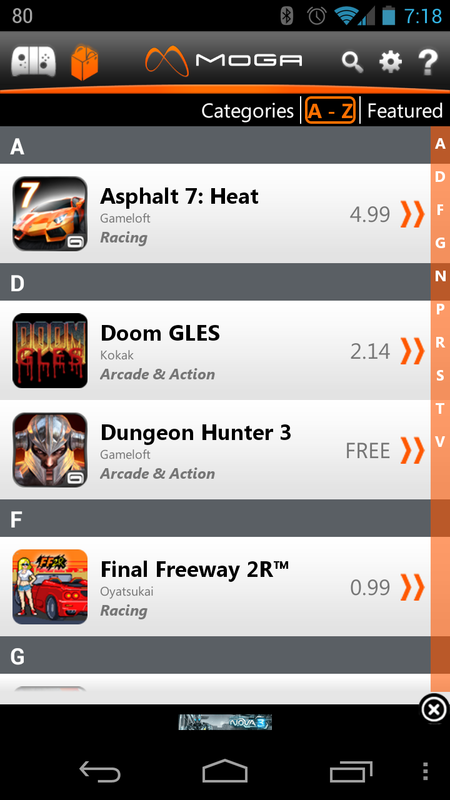 Incredibly sparse list of supported apps. 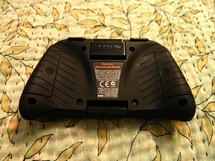 Even if you own games that work with the controller, they may not work if you didn't buy them through the right channels. Sync software is buggy and disconnects frequently if you're not in-game. This doesn't interfere with playing, but does make it very difficult to jump out to check a message real quick. At $50, the price is pretty steep for what you get. This could be improved if the connection software is fixed and if more developers pick up the platform, but as of right now, it doesn't look too robust. Let's start with the build quality. It's fantastic. 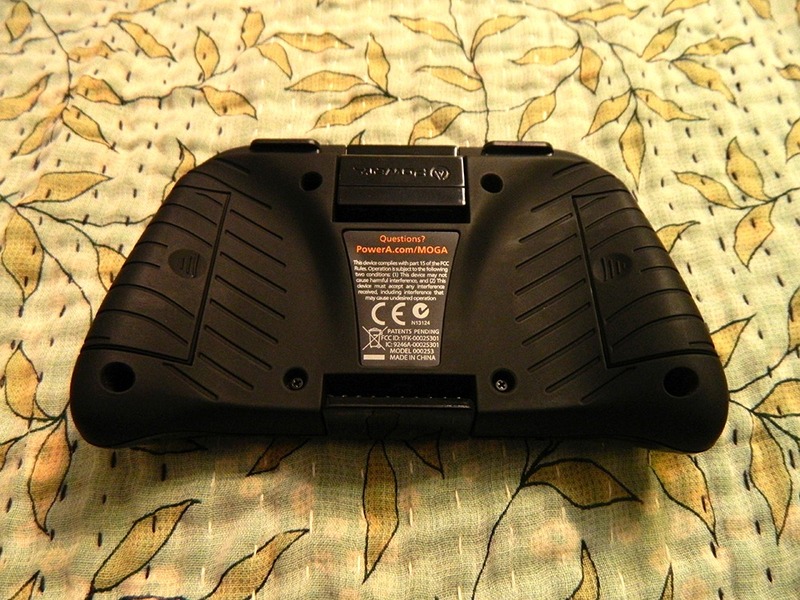 Opening a $50 game controller that's not from Sony, Microsoft or Nintendo can be a harrowing experience. At that price, the bar is set pretty high, but the track record for accessories of this caliber isn't great. 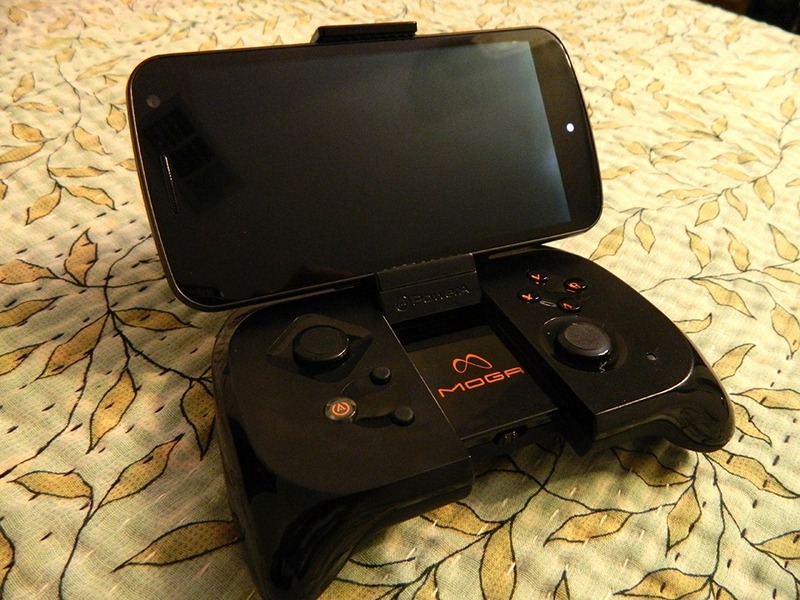 Rest assured though, the MOGA hardware is wonderful. While a little tiny for my tastes, the device is very sturdy. The controller has plenty of buttons to handle just about any game you could throw at it. Two control sticks, four regular buttons (traditional A, B, X, Y), start, select, and two trigger buttons. There are also two more controls for syncing the device via Bluetooth: a hardware switch sits underneath the flip-up phone holder, which ensures that you won't drain the battery when the device is off, and a second button that is used for pairing. The flip-up phone holder is particularly nice. This controller allows you to place your phone in an expandable grip. I was able to fit a few different phones in it including my Galaxy Nexus, though a device as large as the Galaxy Note might be a bit of a stretch. The entire piece of hardware is very impressive and felt like something I really wanted to play with. As a bit of icing on the cake, the package even came with a faux leather carrying case. It's a great touch. Unfortunately, as much as I absolutely adore the hardware, that's about where the whirlwind romance ends. The big hang up with any accessory like this is the software. It doesn't matter how great the design is if you can't play anything with it. There are a few different reasons why this thing falls short, so let me go through them one at a time. 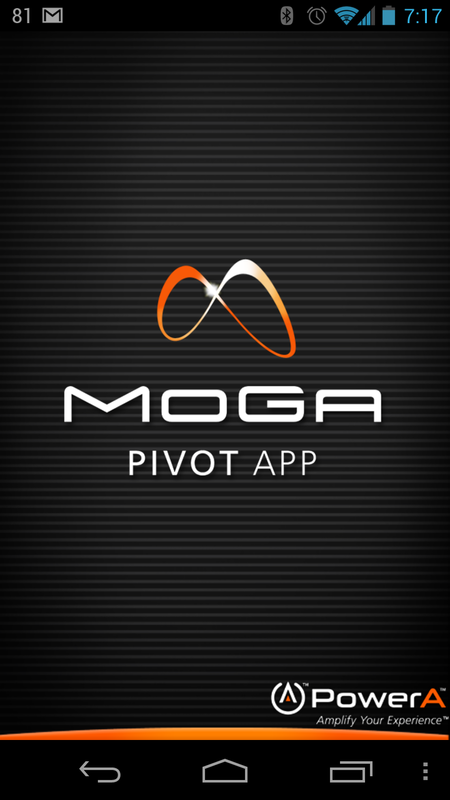 The first thing you'll need to do in order to connect the controller is install the MOGA Pivot app. 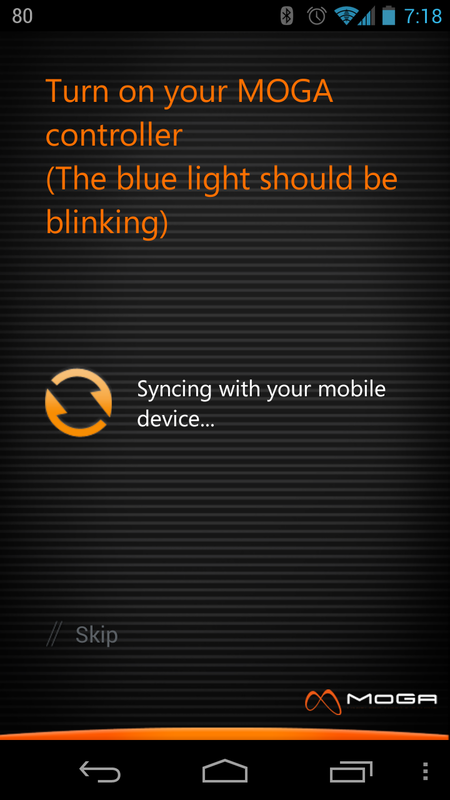 Requiring an app to sync an accessory and your phone isn't unprecedented. Where this one fails, though, is that apparently if you leave the app, the link is broken. 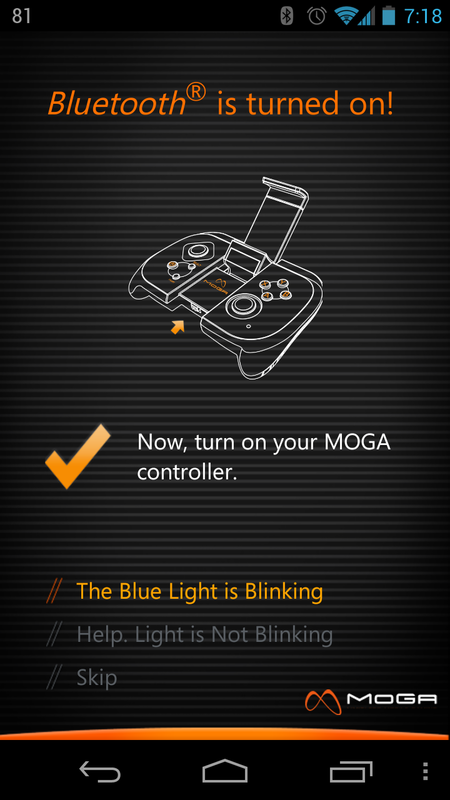 It's not a huge problem except that it's rather annoying to get a notification that the MOGA is missing every time you respond to a text or check your email. 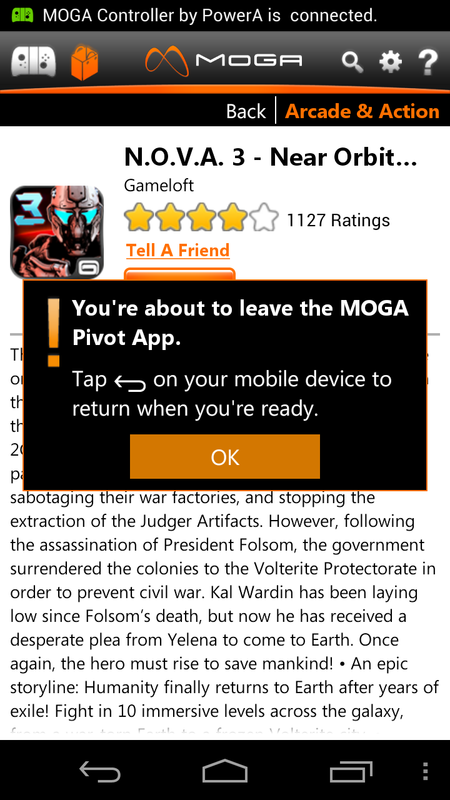 The shade spam is made even worse due to the fact that the Pivot app is persistent. 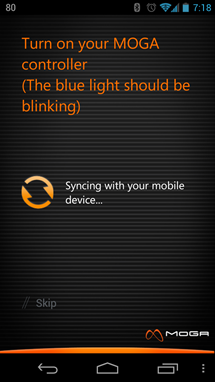 The only way I found to close the app and, in doing so, get rid of the ongoing notification, was to force close it. To clarify, this bizarre notification spam occurs before you actually enter a game. 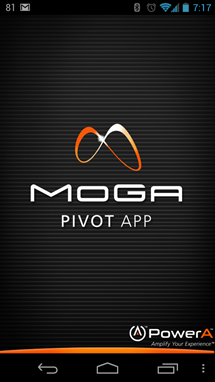 The Pivot app isn't just a background process that handles the communication between the accessory and the phone. It's also a middle man for game sales. This is the second area where the app has major problems. While you can't actually buy games via MOGA (the Play Store doesn't allow distribution of other app stores), it does serve to connect you with games you can use the controller with. 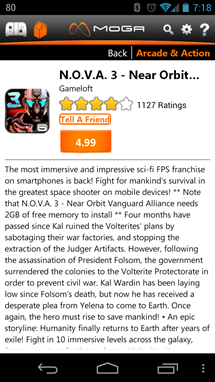 The problem is, only some of the games are linked by the Play Store. 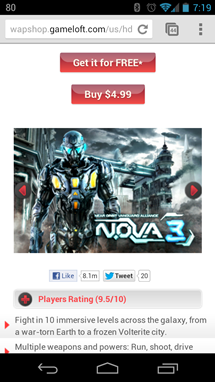 Particularly some Gameloft apps, which can be among the more expensive titles on Android, are actually purchased via the company's own site. 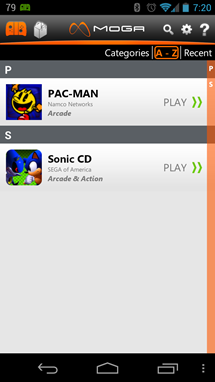 You download the APKs directly and only when you install via this method will the controller work. 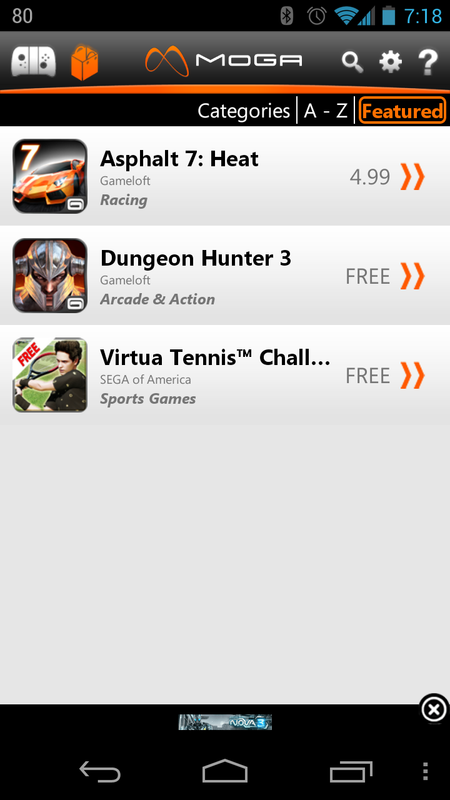 To test this, I acquired Dungeon Hunter 3 from Google's market. The MOGA wouldn't respond at all. Apparently the controller only works if the game you want to play was purchased or installed via whatever method Pivot chooses. 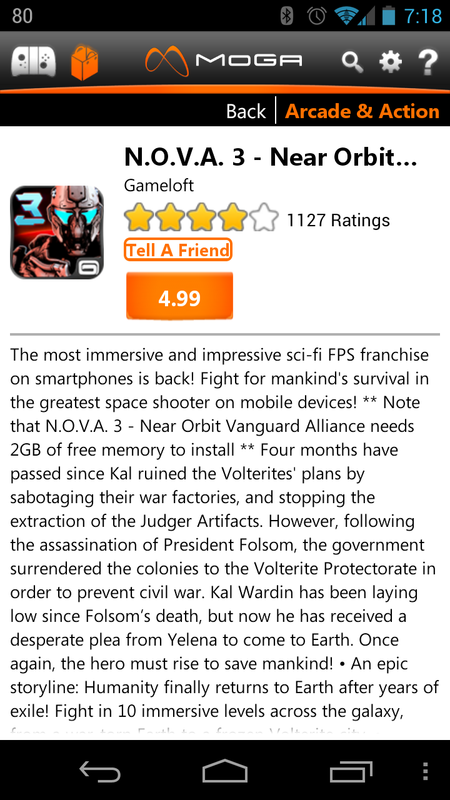 If it links to the Play Store entry, then your previous install should work just fine. The titles that are acquired via independent distribution will need to be repurchased and, obviously, won't be tied to your Google account. This is a very big usability problem. If you've already bought certain titles from the Play Store, you can't use this accessory without buying them again. If you haven't already got them, then you can spend the money, but they might not be tied to your Google account. Lose the APK and you're on your own. 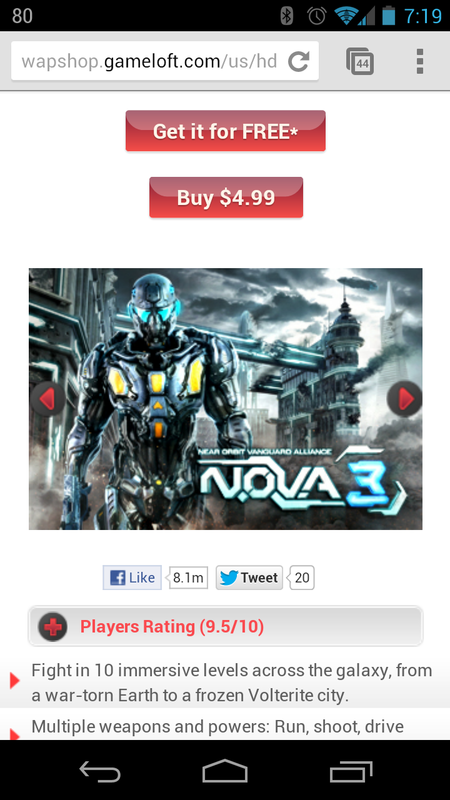 For what it's worth, the controller comes with two free titles. 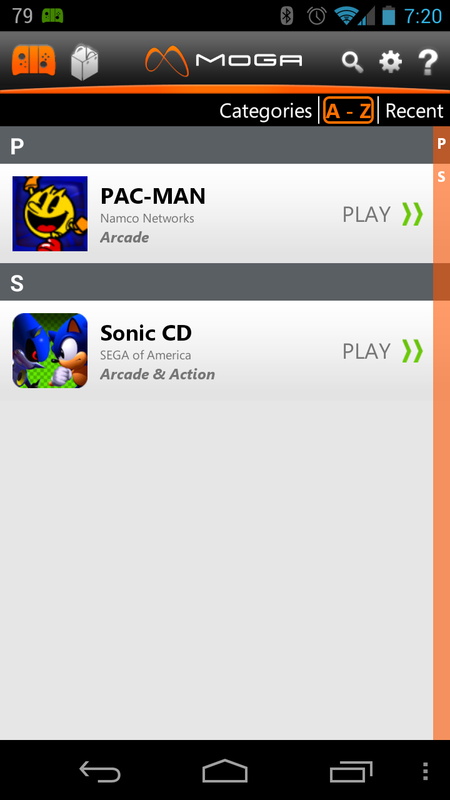 Pac-man, which normally costs $4 in the Pivot app as of this writing, and a code for a copy of Sonic CD. 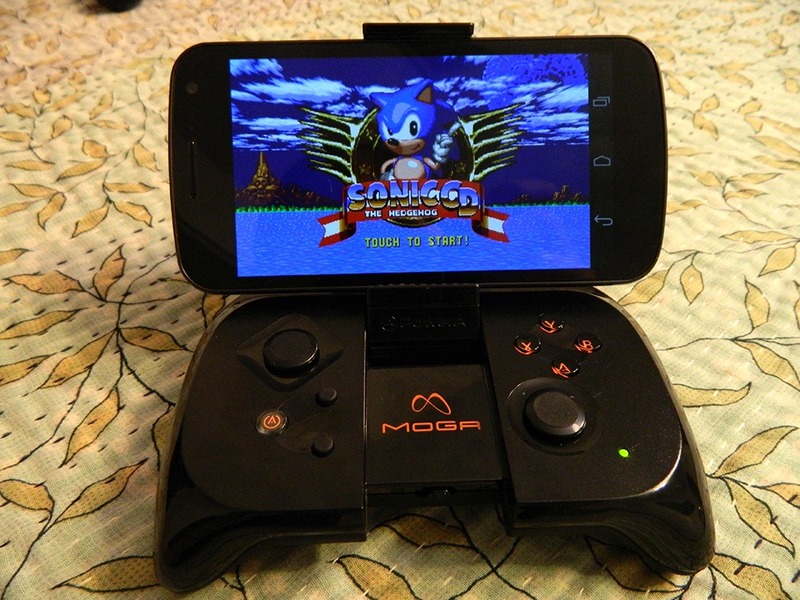 Both are in MOGA's faux storefront and both are great classics. Unfortunately, they're not $50 worth of fun. Beyond those, the selection is extremely meager. 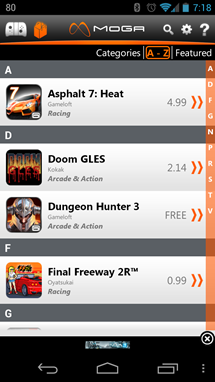 There are a mere 21 apps in the supported list, two of which are the aforementioned gratis games, three more are free versions of other paid entries, and only 6 others are just plain free. While you have at least a few options, you could still sink a lot of money into a very isolated and sparsely populated ecosystem. 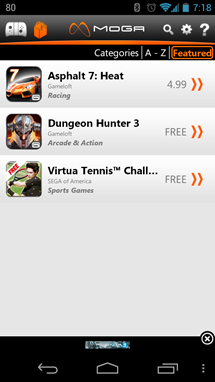 Once you've decided how to get your games, the experience is actually pretty great. Controls are very responsive. There was virtually zero lag at all, even while playing games like Sonic CD, which generally rely on fast reactions. Once you're playing, the connection between the controller and the phone is steady. Head to the homescreen, though, and the connection will be broken soon, and it's a bit of a pain to get back into the app. 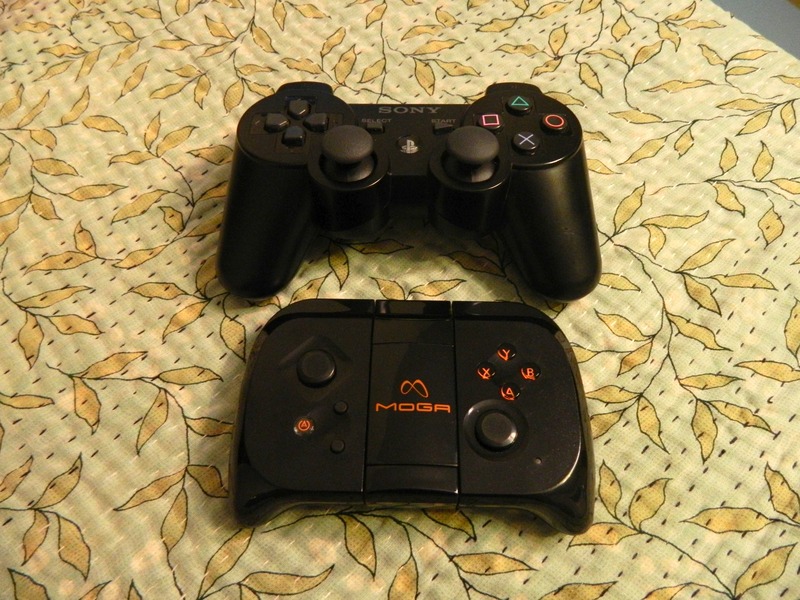 As I mentioned earlier, the size of the controller is substantially nicer than many others like it, however for some reason, the MOGA is still a bit tinier than is comfortable, and I don't have above average-sized hands. 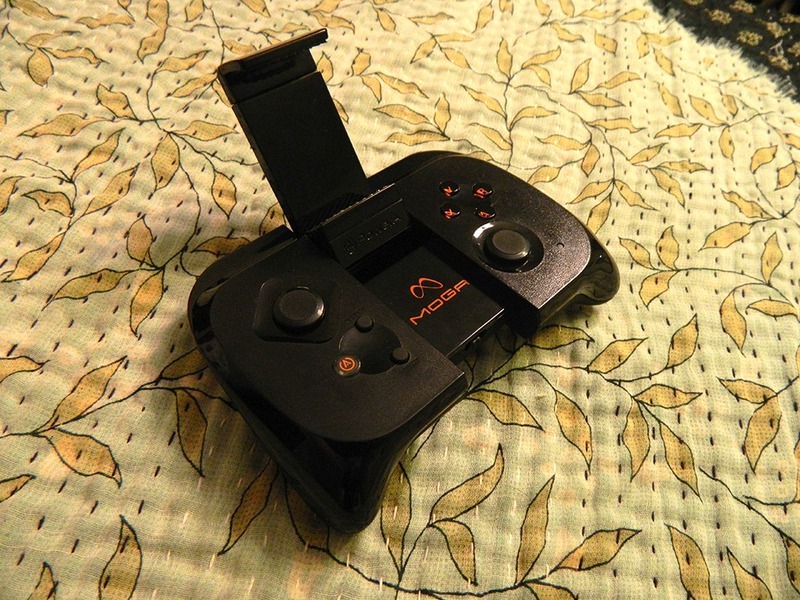 Perhaps this might be more comfortable for a kid, however as far back as the NES, gamepads have been designed that fit both adult and children's hands. The reason for why these things keep getting manufactured a bit smaller than is comfortable is a mystery. All that being said, fat fingers should be wary. As Android gaming accessories go, this is still one of the best I've used. It's small, but not cripplingly so, the hardware is solidly built, and it's designed to actually hold your phone, solving the awkward usability problem of most Bluetooth controllers. However, the software really makes it difficult to love. Personally, I'm very uncomfortable buying games via developers' websites and losing the ability to sync with my Google account. Even if that's not a concern for you, though, the positively abysmal selection of games makes spending $50 on buttons a questionable choice. 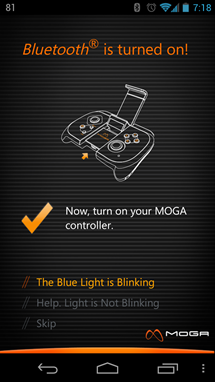 The upside is, MOGA at least seems to be well-connected (pun cruelly intended). You don't get official support from titles Pac-Man or Sonic without having at least some weight behind your product. 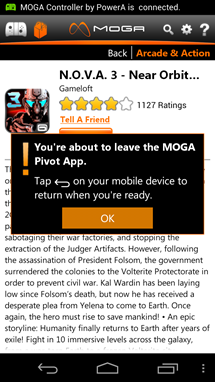 However, I'd still at least like to see all games you've previously purchased from the Play Store be compatible, not just the ones that the Pivot app doesn't distribute directly via publishers. It's hard to give a glowing recommendation to this controller, but if you really want to do some gaming with buttons, and Pac-Man, Sonic CD, and Gameloft get you excited, then the experience will be well worth your money. If you just want to buy a gamepad and see what's available, you might want to hold off. Hopefully MOGA will fix some of the bugginess of the app, and improve compatibility with games you've already purchased. Until then, though, be sure that the selection of titles is worth it up front.